I honestly never set out to cure my asthma naturally. It happened organically as I was trying to cure my epilepsy. As you get healthier and healthier with your lifestyle choices, the health problems and conditions that you once had naturally fade. As a child, I didn’t like physical education. I was slower than most kids. I would get out of breath quickly. One day, I got so out of breath that you could hear a wheeze. I honestly felt a little relieved that my mother took me to the urgent care facility near my home and they diagnosed me with asthma. At the time, I wasn’t keeping up with my peers when we ran. I knew another kid who had an inhaler at school and they were allowed to sit out of P.E. activities that were too rigorous. I was about 7 and felt like I had scored with this diagnosis! Carrying an inhaler to soccer practice and swim practice didn’t bother me in the least bit. However, for some reason I never really felt like the inhaler gave me much relief. It gave me extra time to catch my breath as my peers and teammates continued to practice. I felt more comfortable, but I also felt like recovery from an asthma attack just took time for my body to adjust. I loved the water. Summers in Northern Virginia were always very hot and equally humid, making a pool the ideal place to find relief. I spent hours with my friends enjoying our pool membership. When I noticed that some of the swimmers were wearing a candy cane stripped bathing suit, I just had to have one. I wanted to join the swim team. Not only to get the bathing suit, but also to test my speed and spend more time in the water. It was a wonderful thing for my health. My first day of swim practice, I was much slower than my teammates. They dropped me down a level and had me practice swimming one length in order to build up my endurance. I stuck with it and eventually learned to love it. My asthma didn’t get triggered nearly as much during swim practice as it did when I ran. I still would finish incredibly out of breath and couldn’t imagine taking more than 2 or 3 strokes between breaths, but I was learning how to control my breathing and exercise at the same time. I still dragged my inhaler to and from the pool for many years, but eventually, I realized that I didn’t need it to complete a practice. At the time, I didn’t know that by controlling my breath was so important. I didn’t know anything about the process of breathing or why swimming seemed to help my asthma, but running was so detrimental. I assumed it had something to do with the fact that there was a lot of pollen in the air. However, when I learned about the Buteyko breathing method, it all made sense to me why my swimming wouldn’t induce my asthma, but other exercises would! I first heard about the Buteyko Breathing method from a book by Kevin Trudeau called, Natural Cures They Don’t Want You to Know About. I googled Buteyko Breathing and discovered websites and some videos about how to control your breath to achieve optimal health. It sounded a little too good to be true, but I started doing it anyway. They had a guideline for health. The theory behind Buteyko breathing is that all disease start due to a lack of oxygen in the cells. You can increase the amount of oxygen getting to your cells by slowing down your breathing and focusing solely on nasal diaphragmatic breathing. So, I set out to increase what Buteyko breathers call the control pause, or the length of time that you take between breaths. I bought the book, Close Your Mouth by Patrick McKeown, to learn how to do it and understand why it works. It explained it very simply. I noticed amazing results in how I felt. My immune system was doing a better job at fighting off colds and flus. I was able to come off my seizure medication and control my seizures naturally. My thinking was clearer. I had more energy. My asthma was also non-existant. I learned to breathe through my nose as I jogged, which slowed down the breath, filtered the air, increased the production of nitric oxide in the nasal cavities and enabled a better gas exchange between carbon dioxide. I discovered the water cure through Kevin Trudeau’s book as well. I went to the website and discovered that there is a theory that most diseases are caused because the cells are dehydrated. This makes sense on some level because without enough water to help with elimination, toxins build up in different areas of your body. The water cure hypothesizes that asthma is due to dehydration. When I suffered from asthma, I would drink orange juice for breakfast, milk with cereal, and soda pop any time my mother would let me! I loved juices. Water was not my preferred beverage at all. After decades of avoiding water, I had a couple root canals and determined that I would heal my teeth naturally. I eliminated all other beverages besides water. I learned to drink water at room temperature. In fact, I learned to love water. Eventually, I stopped getting cavities in my teeth. My asthma stopped flairing up. I believe that it is a combination of my Buteyko breathing exercises and a complete switch over to water drinking that has enabled me to toss out the inhalers and discontinue any prednisone that was prescribed for my asthma. I am feeling 100% better than I ever was as a child. I am breathing slower with much more controlled breaths that seem to nourish my body far better than any inhaler ever did! Not only that, but I can exercise with nasal breathing only and not trigger an asthma attack! The water drinking has saved me tons of money over the years on my grocery bill! Hi Melinda – great informative site. Well written and interesting. Being raw vegan is only something I do if my skin flares up as it stops the itch cold. I liked he chicken soup which is what I cook as well. in a normal pot though. It is nice and my friends love it. I have heard of the breathing method you mention, but have never tried it. I tend to sing a lot and that has given me strong lungs. However I am allergic to dust. Overall, I liked the information here, very useful. Be careful with singing. It tends to reduce the oxygenation in your body. It is more about the gas exchange than whether or not your lungs are strong. 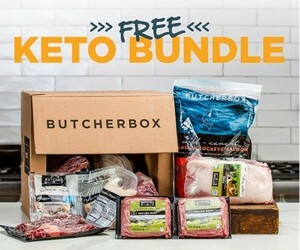 Since you aren’t vegetarian, you may enjoy the free Bacon and Butter ketogenic cookbook.